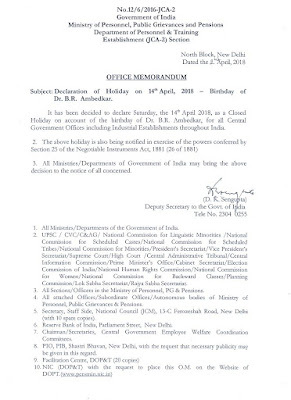 Subject: Declaration of Holiday on 14th April, 2018 – Birthday of Dr. B.R. Ambedkar. 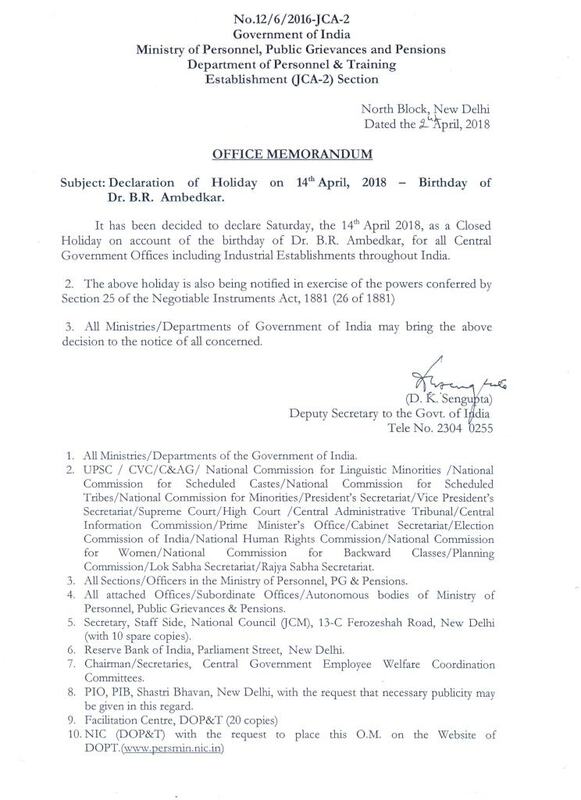 It has been decided to declare Saturday, the 14th Aplil 2018, as a Closed Holiday on account of the birthday of Dr. B.R. Ambedkar, for all Central Government Offices including Industrial Establishtments throughout India.